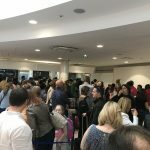 Not Verified | Appalling airport, huge queues, no organisation and very nearly missed our flight! Lot of very upset passengers. Do not recommend flying out of here! 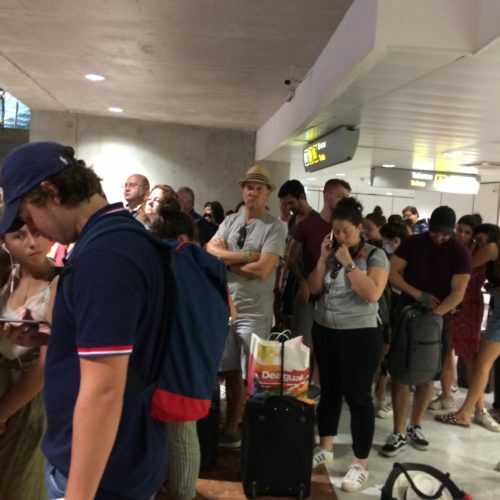 Not Verified | This is the third time that we have been shocked yet again by the attitude airport staff, especially the hosts who are particularly disrespectful and impolite. When directing you they don’t look at you and when you ask a question they are very short and arrogant. This is easily resolved problem lets down an otherwise a very good service from Easyjet. "Come on, you can do better"
✅ Trip Verified | The lack of vegan options in food establishments at Nice airport is astonishing. Particularly for an international airport. Come on, you can do better. Veganism is on the rise - more and more people are eating plant-based food whether they are vegan or not. Went to Starbucks and the staff said they didn’t have anything vegan. Went to ‘La Tarte Tropezienne’ and the staff there didn’t have anything vegan to eat. How hard can it be? To have some vegan options? Actually it’s not hard at all. Nice airport just needs to catch up with the rest of the world. There is definitely a demand for it. Catch up! Not Verified | Agree with other complainants. Departing yesterday, the 11th August, the queue to show passports before going to the gate was unexpected and no warning was given by absolutely useless ground staff. 90 mins wait time and this is to exit the country! All flights delayed. Not Verified | It’s horrific. I wanted to catch the airport bus to the centre of town and it was impossible to find it. It took me half an hour! I asked to three different airport personnel and got three different answers. And I do speak very good French! ✅ Trip Verified | Very long queuing time at passport control. 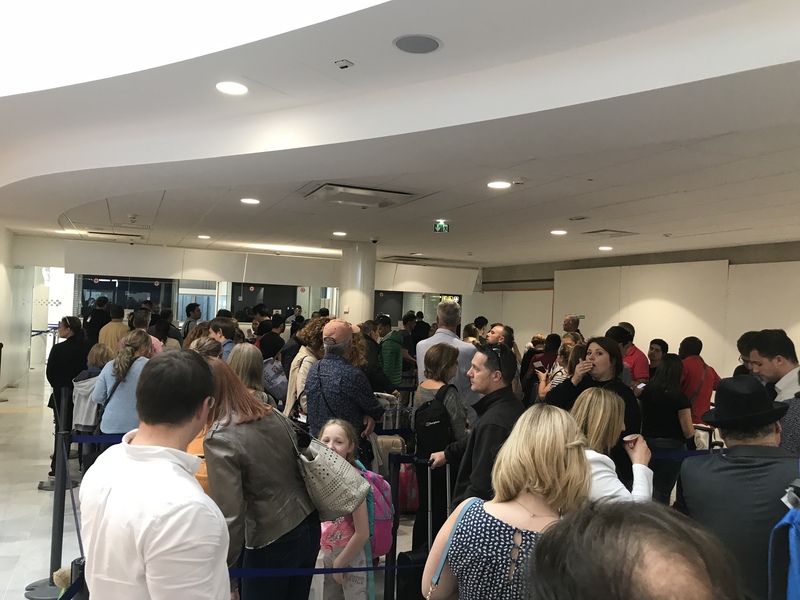 Although the trip was within Schengen (France to Netherlands), controls have been re-enforced for all destinations but the control gates are clearly understaffed, 2 positions were open to deal with approx. 20 flights departing in the next hour. Results : nervous travelers, aggressive staff, flights delayed. 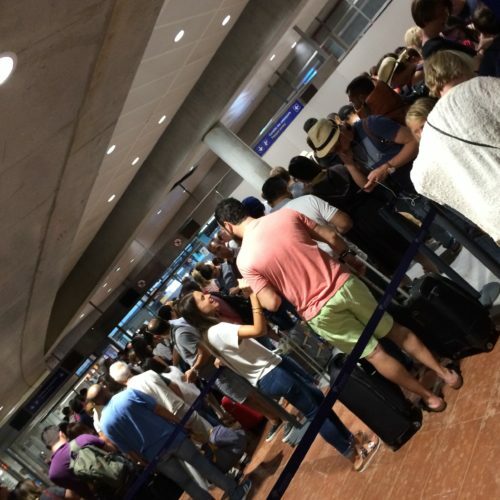 ✅ Trip Verified | Unacceptable queuing time at passport control when arriving from Zurich at Nice airport. Only 2 stands open while several flights were disembarking at the same time. It took me 60 minutes to go through. Not Verified | It is unbelievable to see how bad this airport is. I had probably 2 hours delay which happens every time I travel here and as usual there is nobody is telling us anything or what is happening. All the time that airport is declining in its standard of quality. 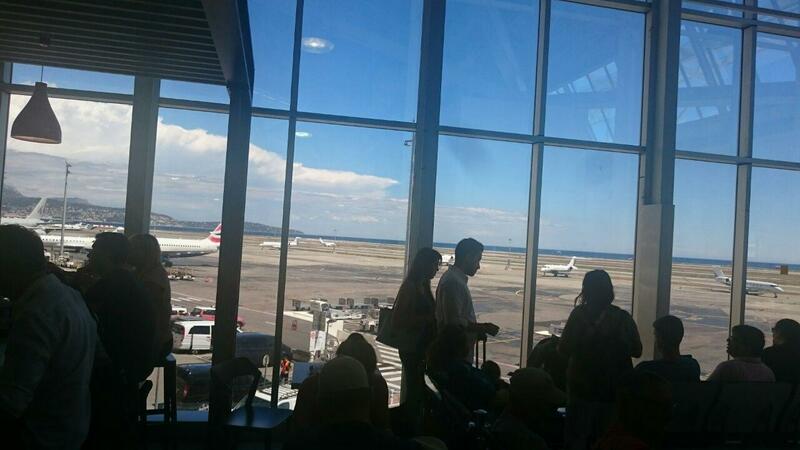 Can’t believe it is the airport where the wealthier people of the planet are flying from and to. They probably have a better chance than us which is completely unfair. Be aware to have delays and no communication. No doubt why London as the best ones they should go and take a course with them! 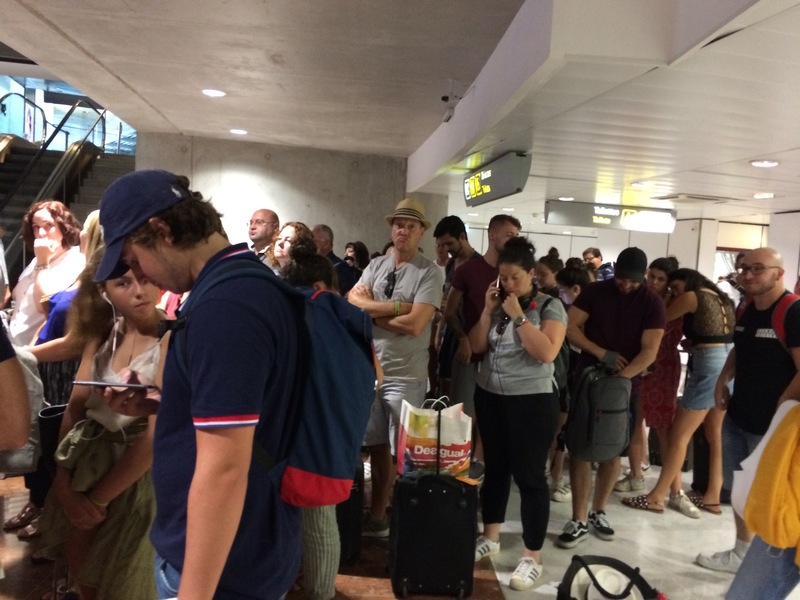 Not Verified | On arrival at Nice, you can hire a helicopter but not a car at Terminal 1. For car hire, you have to ask & find your way with limited signage to a bus stop and wait (sorry I mean jostle) with other eager arrivals for a bus that has lots of seats to take you to Terminal 2 where you can then walk with your bags another 400 yds to the car hire desks. This of course is with your many 23kg suitcases, hand luggage & children in 30 degree heat - the bus doesn't have any space for suitcases - the kurb up to the bus stop won't take trolleys - not a very orderly welcome for visitors. The thought of having to do the reverse of this on the return flight home is so unappealing we tried to park the car first close to Terminal 2 - checkin & then return the car. All signs to Terminal 2 parking actually take you to Terminal 1 parking where it then tells you there is a 12 min walk to Terminal 2. Very limited seating prior to security - and when walking to departures you get caught up in the people arriving - not good crowd planning. Lets not forget the security staff who don't speak any English - especially the male attendant who wanted to search my daughter. 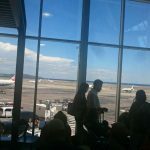 One of the worst airport experiences I've had.